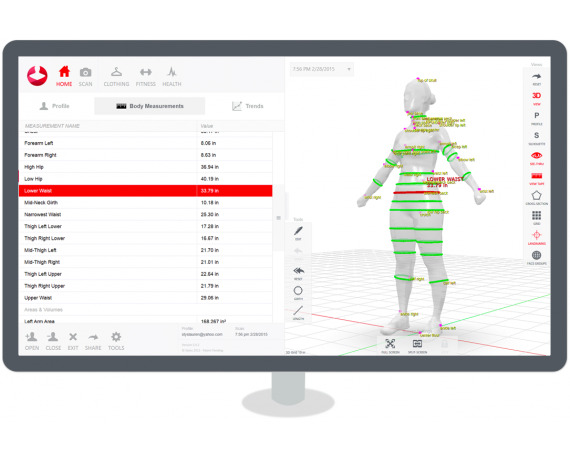 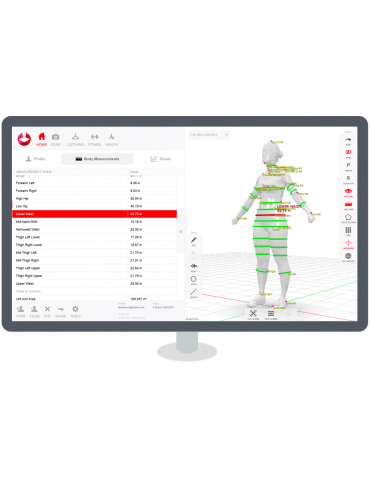 Complete 3D full body scanning solution. 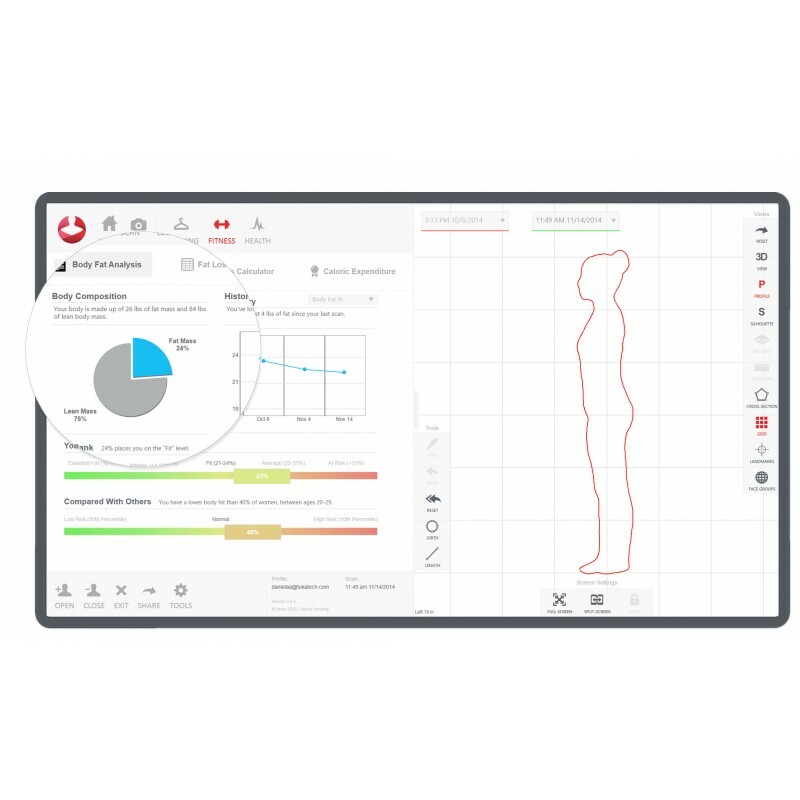 Measure hundreds of body measurements (waist, hip, body fat% etc.) 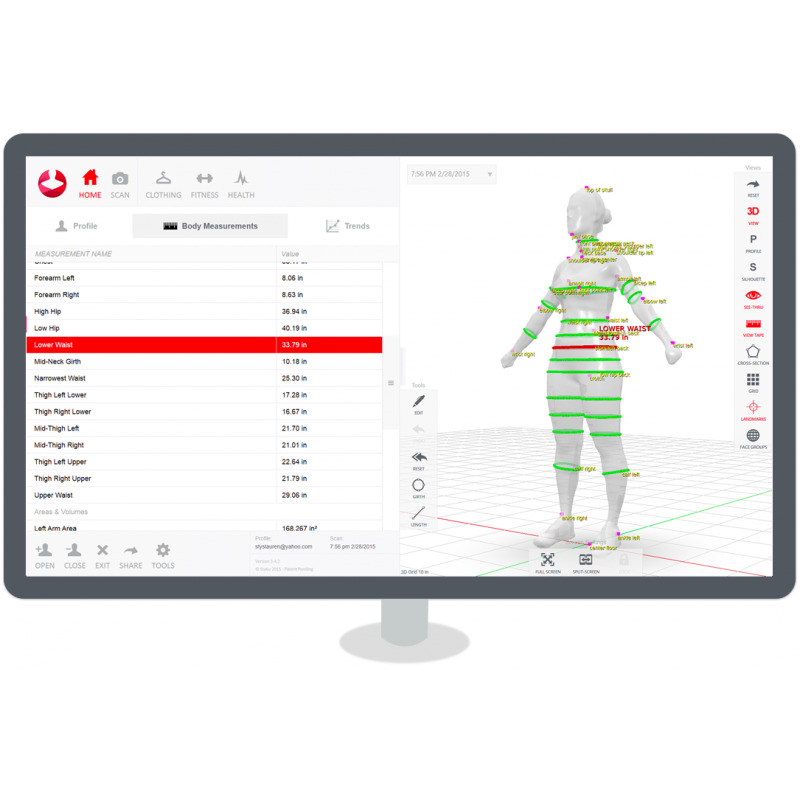 in seconds. 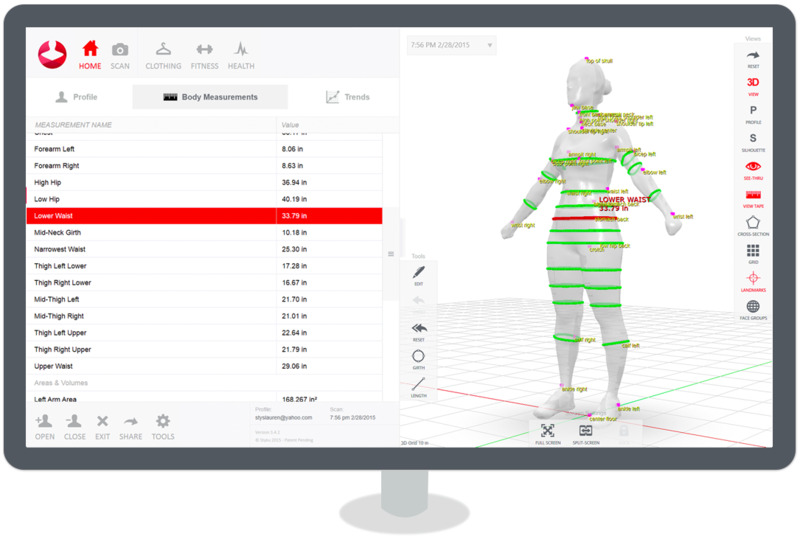 View an exact 3D model of your customers or patients and measure the effectivness of your treatments. 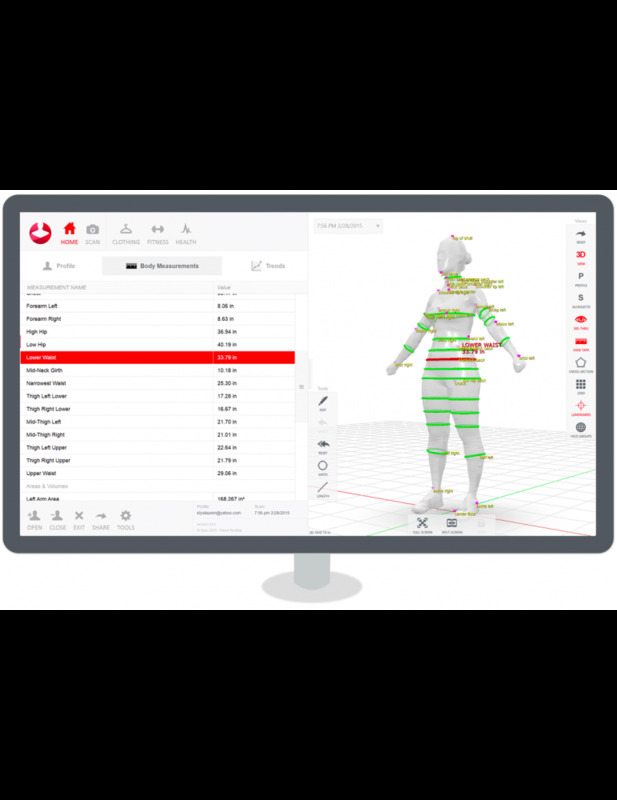 Simply place your patient on the turntable and start getting accurate and repeatable measurement data. 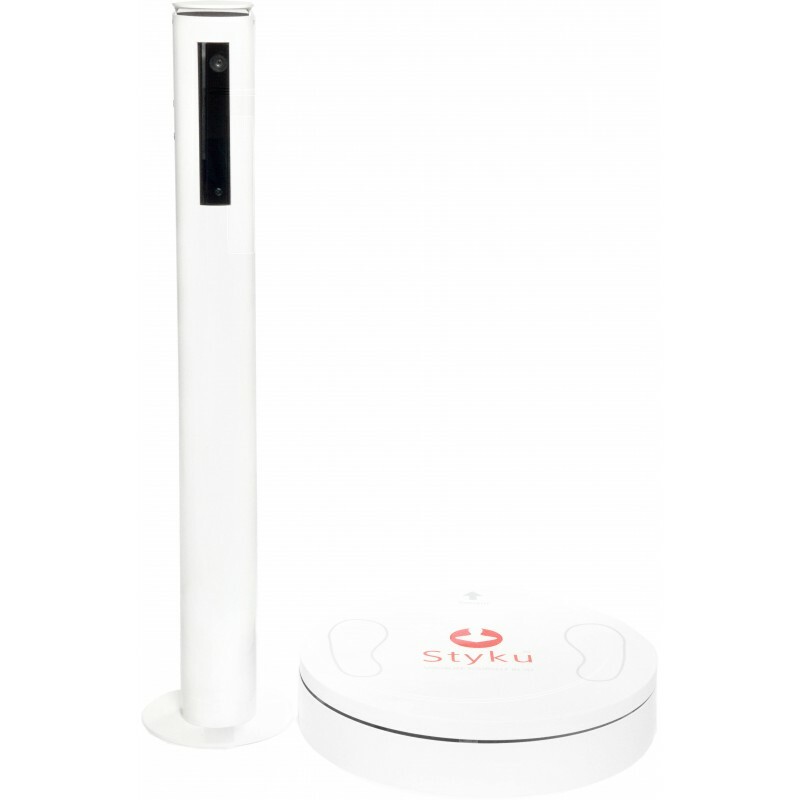 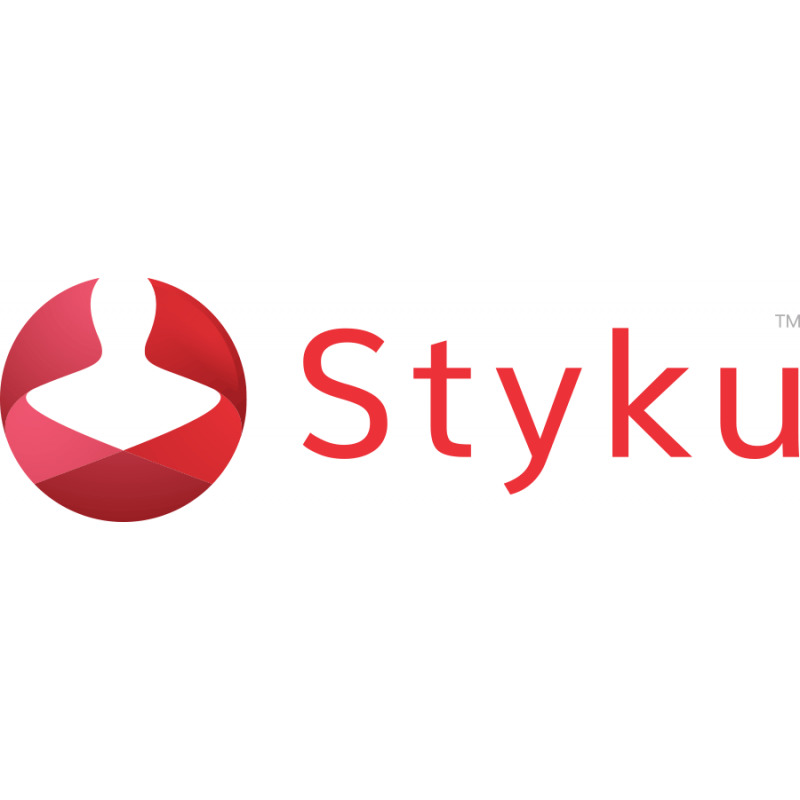 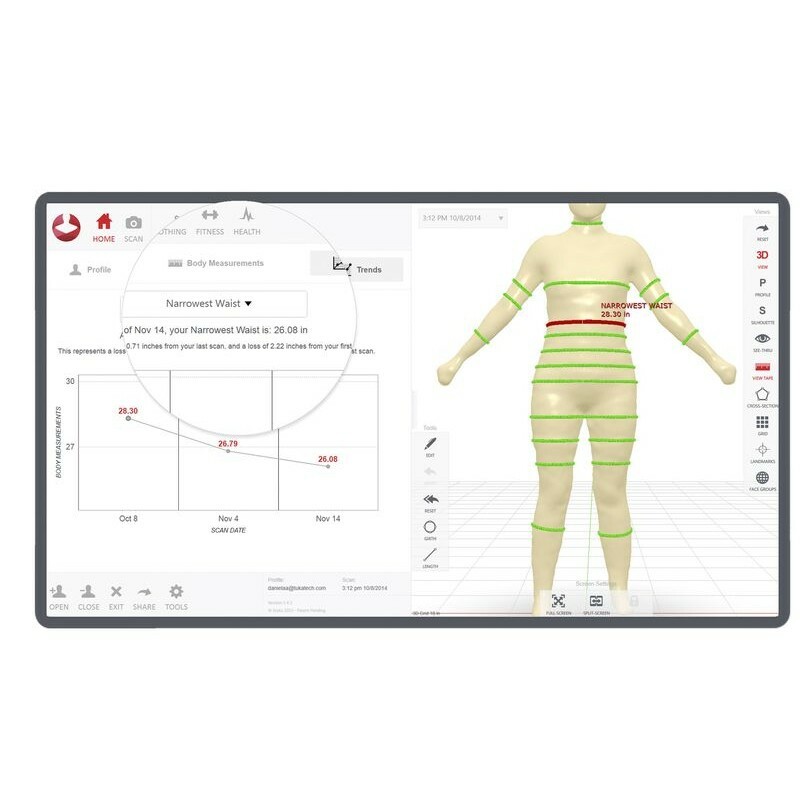 Styku is the new standard in measuring body circumferences, 76% more accurate than manual measurement.